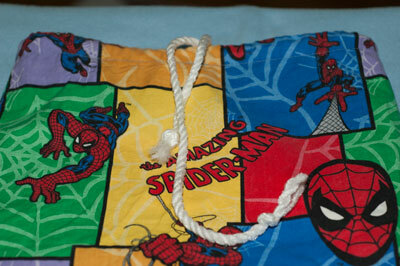 It is easy to learn to sew a drawstring bag. These fun bags are great for storage. You can make them in a variety of sizes. Pick out some decorative fabric and get started on this easy sewing project. Fold fabric in half lengthwise placing right sides together. Stitch along sides of material leaving the top open. Fold the top edge over 1 inch. Pin in place. Stitch along bottom edge taking out pins as you go. Leave a small opening in the seam for the drawstring. 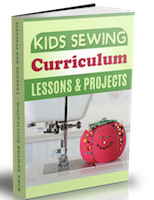 Remember to backstitch at the beginning at the end of your sewing. Using 1 yard ribbon or cording, depending on size of bag. Attach a safety pin at the end of your drawstring. Push safety pin through the opening and continue pushing through until you come out the opening again. Tie a knot at the ends of the cording. 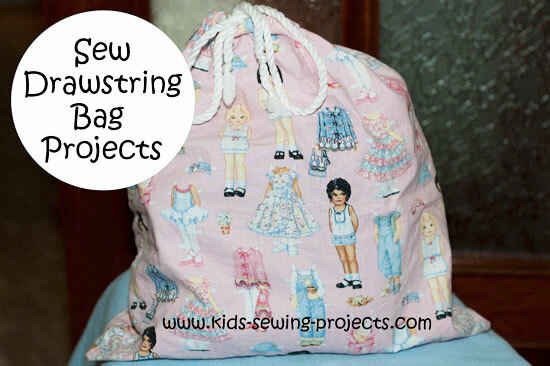 You can use drawstring bags for storing toys, doll clothes, blocks, sleeping bags, cars, whatever you need to store. To hand sew a drawstring coin bag go back to Level 1 projects. 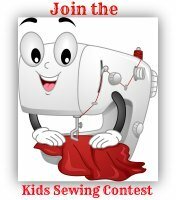 Or change the drawstring instructions and machine sew. 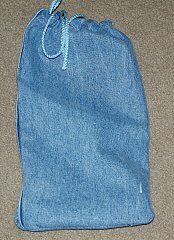 Try a drawstring bag made out of an old pair of jeans. 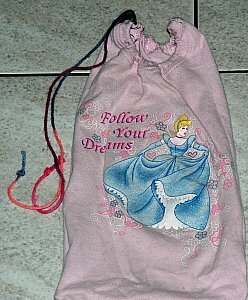 Learn how to sew a t-shirt drawstring bag. 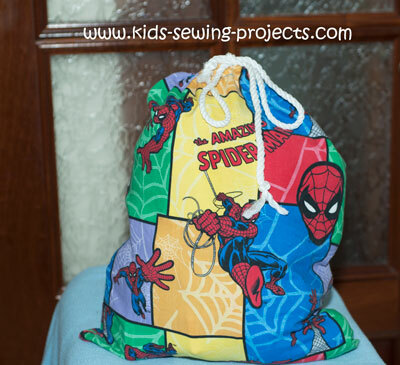 On to more kids sewing projects from Sew a Drawstring Bag.